Wanted to share a few photos from an event I organized last night. 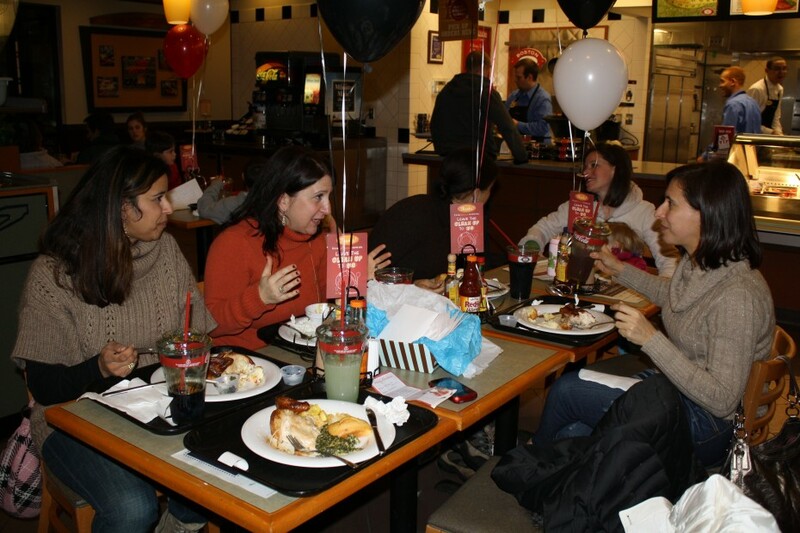 Despite yesterday’s ice storm, several Philly bloggers braved the roads and we met up at a local Boston Market for a social media event. This image above was the best thing about our experience though. One of the employees, Tristan, was there to clean up our plates and check in on us to make sure everything was good! 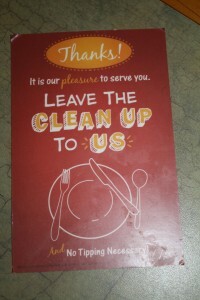 And it wasn’t just because we’re bloggers – Boston Market is all about the hospitality now. I watched as he checked in on other guests and took their trays to empty, carry their food to the table and more. As a busy Mom who is always cleaning up and doing the dishes or some other bit of housework, this was the best part of the experience! Comfort food with the comfort of someone else cleaning up after you! What would be better. 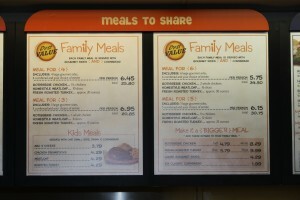 You can check out BostonMarket.com for a list of all of their new sites, including information on nutritional value. You can also print out coupons for dining in-store. And next time you’re there, ask them what discounts you may be eligible for. Tristan was telling me that seniors get 20% off every meal when they sign up, military gets a discount as well as other government workers. Ask at your local store for details. Another person confessing to having not been to Boston Market in some time. . don’t really know why- I always enjoyed their food-every time:tasty and good prices. Thanks for the much needed reminder- and reading about the senior as well as military discounts, well, that’s added incentive! Will try them for sure when out and about doing errands this weekend. I have not been to Boston Market in over 15 years! I think I might have to go back!